We Want to Give Our Guests Something a Little Extra During Your Spring Vacation! Whether you booked your vacation for the rest and relaxation we have to offer right off the Myrtle Beach Boardwalk or you are looking for some adventure, we are hoping that our Spring rewards will help you achieve just that! Broadway Grand Prix: Receive one complimentary adult “All You Can Ride Wristband” for Broadway Grand Prix, where seven go-kart tracks, two 18-hole mini-golf courses, a huge arcade and more exciting attractions promise to put the whole family of the fast track to fun. Rockin’ Jump Trampoline Park: Get one complimentary ticket for 30 minutes of jump time at Rockin' Jump Trampoline Park, where attractions like the Ninja Challenge Course, the Dodgeball Arena, the Vertical Ops Climbing Wall and the Slam Dunk Zone await for high-flying fun. Brookgreen Gardens: Receive one free adult admission at Brookgreen Gardens, where themed gardens and American figurative sculptures fill the lush, 9,100-acre property just south of Murrells Inlet. The Carolina Opry/Time Warp: Get one complimentary ticket to the award-winning The Carolina Opry music, comedy and dance show or to the Time Warp production for high-energy performances of some of the best music of the ’60s, ’70s and ’80s. Ripley’s Aquarium: Receive discounted adult tickets to Ripley’s Aquarium — at $19.95 each, that’s $5 off each adult admission to get up close to sharks, stingrays and a long list of other creatures of the deep! Shark Wake Park: Go extreme with a discounted 2-hour Cable Wake Board Experience with Basic Gear at Shark Wake Park! When you get your discounted tickets at $39.95, you’ll save over $8 on one of the most thrilling experiences you can have on the water. 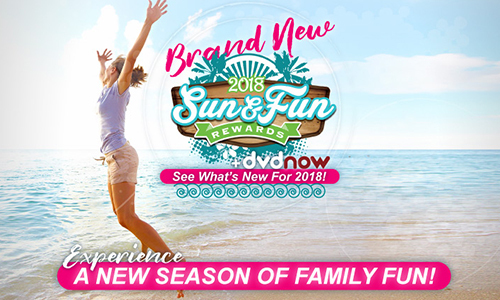 Unlimited DVD Rentals: Guests at Bay View Resort receive free and unlimited DVD rentals throughout their stay to keep their party entertained on rainy days or during nights spent relaxing in their rooms. Just head to the DVD rental kiosk found in the resort lobby to pick out your favorite titles. Everyone enjoys big savings and we want our guests here at Bay View Resort to be spoiled when it comes to fun.